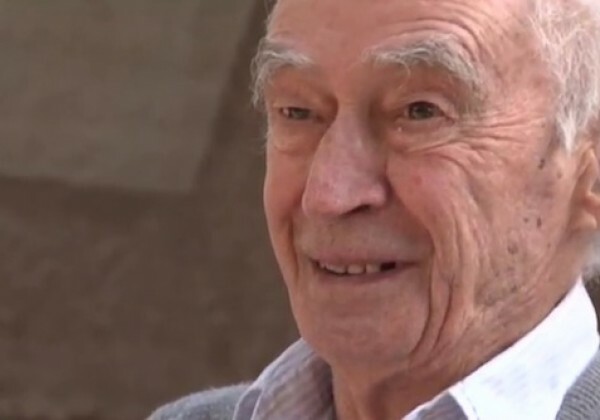 World-renowned Arizona artist, architect and philosopher Paolo Soleri — the mastermind behind Arcosanti, an experimental urban laboratory in northern Arizona — died Tuesday morning. 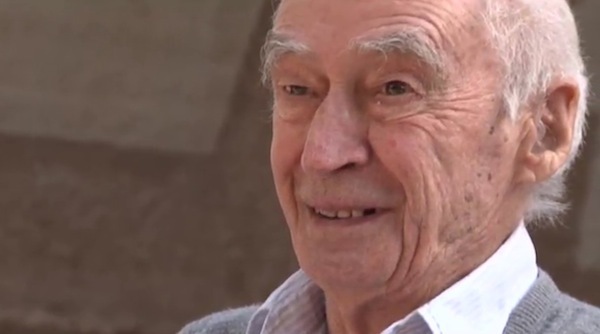 Arcosanti representatives confirmed the news in a statement: “Today the world has lost one of its great minds. Paolo Soleri, architect, builder, artist, writer, theorist, husband, father, born on Summer Solstice, June 21, 1919, has died at age 93. 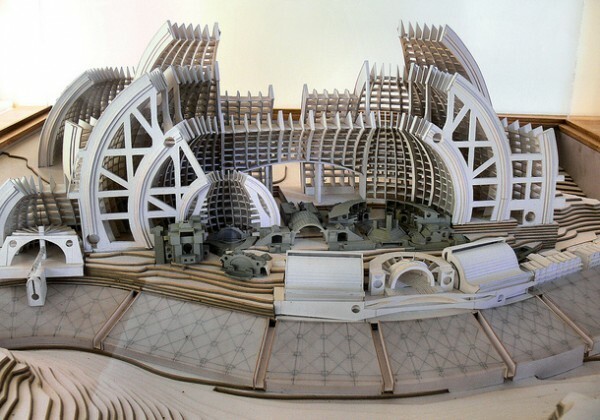 ” Paolo Soleri spent a lifetime investigating how architecture, specifically the architecture of the city, could support the countless possibilities of human aspiration. 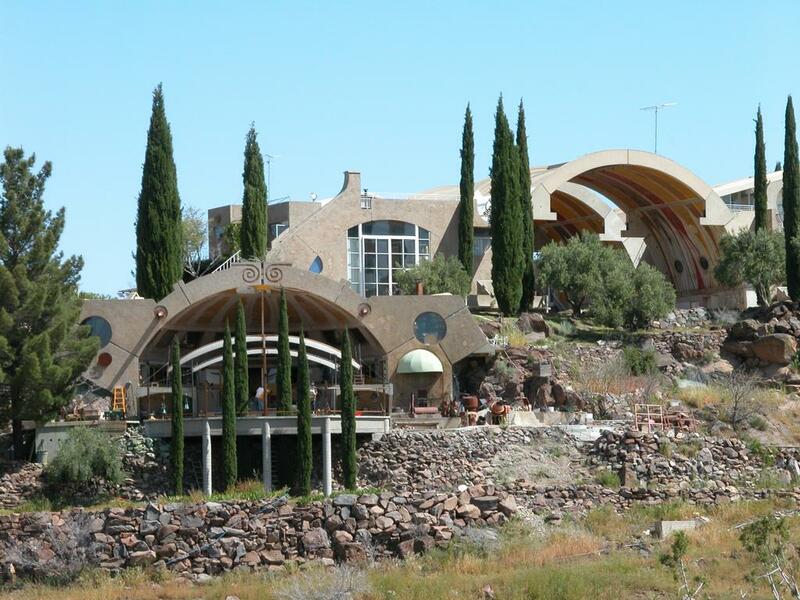 The urban project he founded, Arcosanti, 65 miles north of Phoenix, was described by Newsweek magazine as “... the most important urban experiment undertaken in our lifetimes. ”His own lifetime of work is represented in models, drawings, books, lectures and museum exhibits throughout the world. Soleri’s exhibition in 1970 at the Corcoran Museum in Washington — and the concurrent publication of his landmark book, “City in the Image of Man,” changed forever the global conversation about urban planning on our living planet. His term, “Arcology,” joining the words architecture and ecology to represent one whole system of understanding human life on the earth is meant to serve as the basis for that conversation. 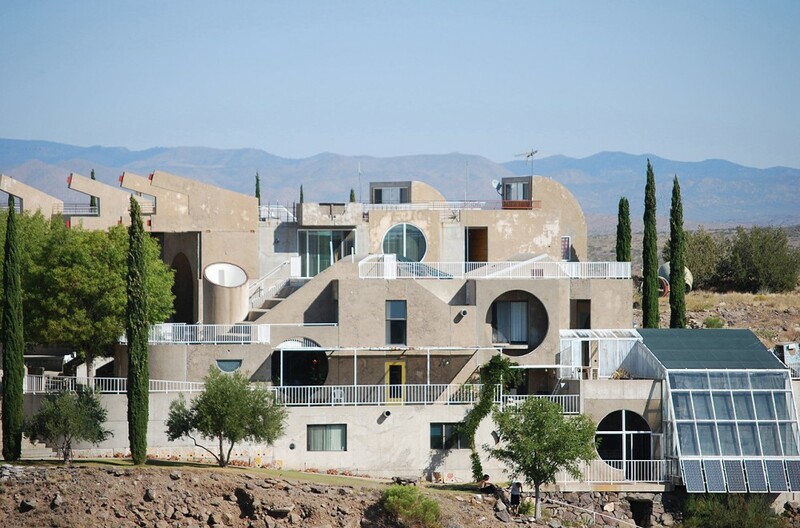 Arcosanti was founded in 1970 and was Soleri’s most notable endeavor. The urban lab attempts to test, experiment and demonstrate alternative human habitats, a concept that was far beyond its years when Soleri first conceived it in the 1950s. 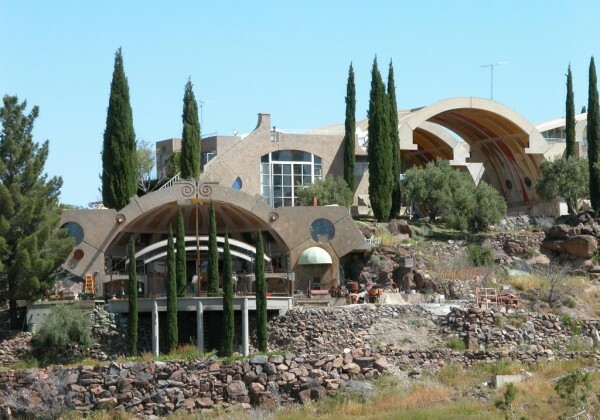 Today, Arcosanti has about 80 permanent residents and welcomes about 50,000 visitors each year. Soleri, who was born in Turin, Italy, most recently resided in Scottsdale at Cosanti, a site he originally used for creating wind bells and experimenting with silt-cast construction techniques. Cosanti and Arcosanti both are managed by the nonprofit Cosanti Foundation. 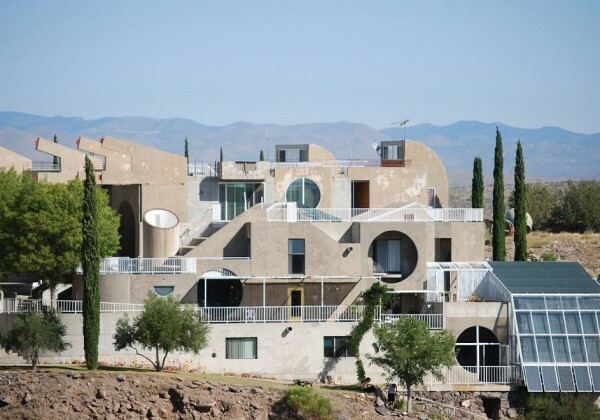 The foundation’s website says the term Cosanti was created by Soleri in the 1950s through combining the Italian words “cosa” and “anti,” which mean “thing” and “before,” respectively. “The term reflects Soleri’s concerns about hyper-consumption in our society and can be flipped to Anti-Cosa, meaning against the excessive materialism,” the website says. Soleri’s other architectural achievements in Arizona include the Dome House in Cave Creek, Glendale Community College Theater, University of Arizona College of Medicine chapel, Scottsdale Pedestrian Bridge and Plaza and, more recently, the bas-relief murals as part of the new Interstate 17 Arcosanti/Cordes Junction Arizona traffic interchange. Beyond Arizona, he also played an architectural role in the Indian Arts Cultural Center and Theatre in Santa Fe, N.M., and the Artistica Ceramica Solimene ceramics factory in Vietri, Italy. 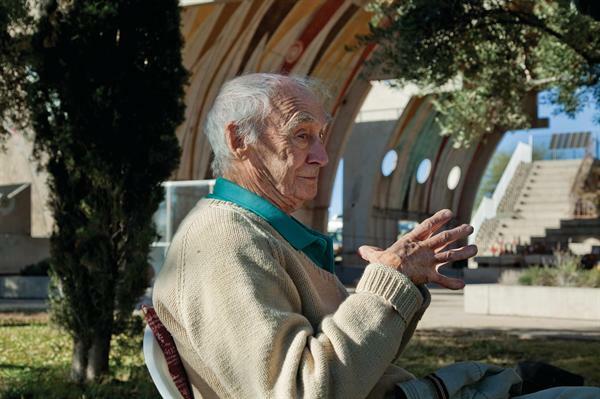 “In an age of specialization, Paolo Soleri showed architecture’s ability to influence and even lead the search for a new pattern of inhabiting the earth,” according to Arcosanti’s statement Tuesday. 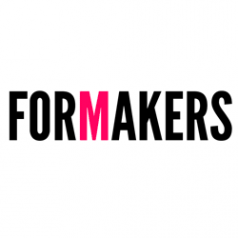 “The awards that resulted from this search included gold medals from the American Institute of Architects, the Union of International Architects, the Venice Biennale and the National Design Award from the Cooper-Hewitt/Smithsonian Museum. 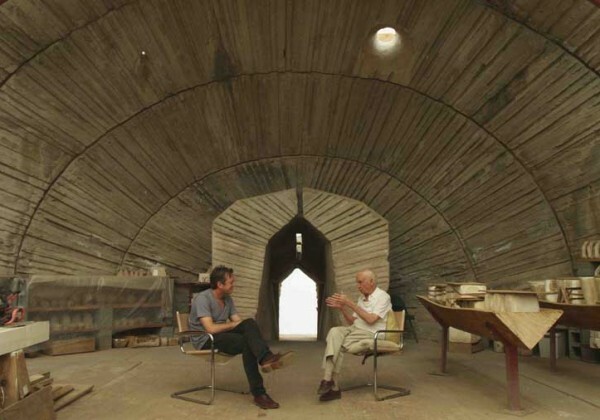 “Soleri continued questioning and creating until his death. The theme of his last project, a series of collages entitled “Then and Now,” juxtaposed his own signature forms with illustrations of life from antiquity. 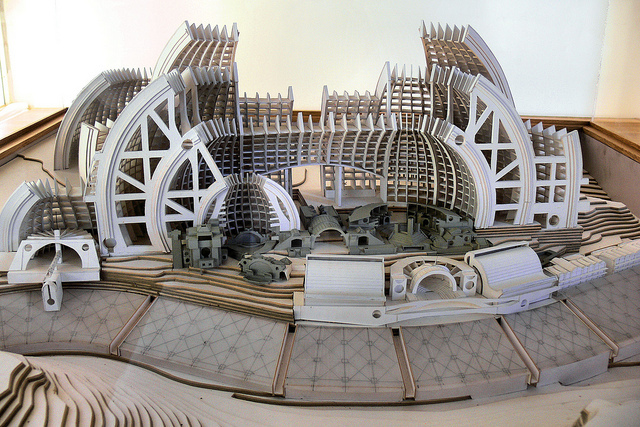 In this project, Paolo Soleri attempted to capture the critical notion that we are constantly building on the past, on the work of countless generations that have preceded us on the earth. 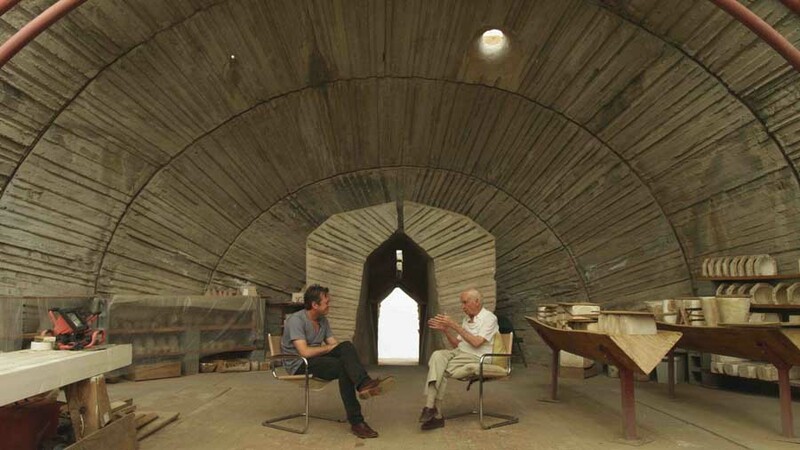 Our own work — and Soleri’s work especially — put into this context, might be a seed that takes many more generations to mature and complete.” Soleri is survived by two daughters, Kristine Soleri Timm and Daniela Soleri, both of California, and two grandchildren. He will be buried next to his wife, Colly, who died 31 years ago, in a private burial ceremony at Arcosanti, the statement said. A public memorial service will be held at Arcosanti later this year..